When it comes to RVing, everyone has different travel needs. Some people prefer motor homes as an all-in-one travel option with no need of hauling or hitching and unhitching at every stop. Others enjoy the large space a fifth wheel RV provides, especially for bringing along the kids or grandkids. And for the true minimalist, popup campers can be like a backpack on wheels. 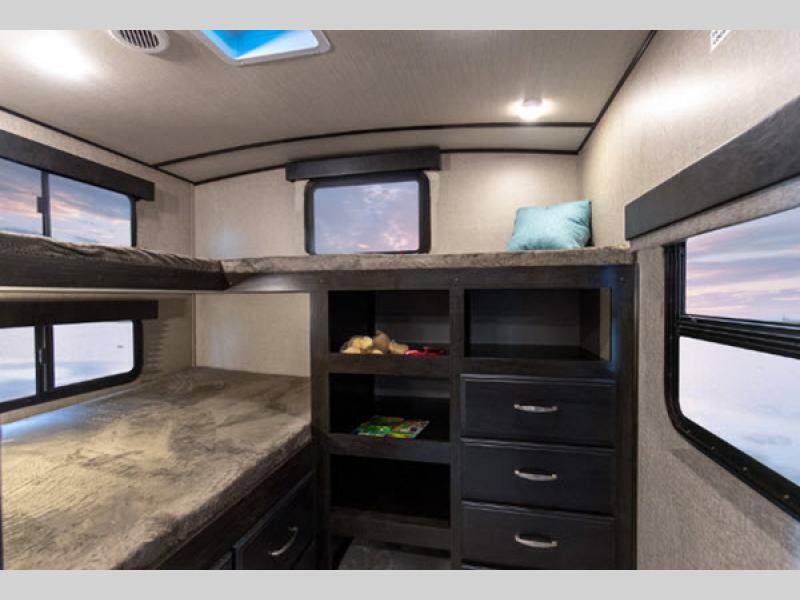 But if you want the perfect blend of luxury, comfort, and lightweight hauling, you definitely need to check out our ultra lightweight travel trailers for sale. These stunning new and used travel trailers are built using lighter materials, so a smaller vehicle with a lower towing capacity can easily haul them, while affording you excellent gas mileage. Check out some of our featured lightweight travel trailers for sale and then come check out our inventory in person! 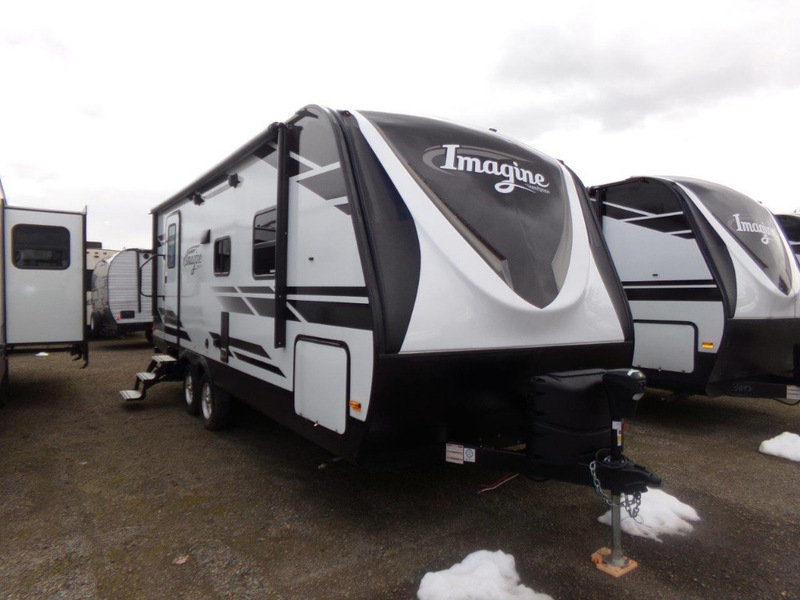 Our Grand Design Imagine travel trailers for sale are lightweight and pack a punch! Sleeping 4 to 10, depending on floor plan, you can bring everyone along and still have room to spread out. There are several bunk house layouts, so the kids have plenty of space to call their own. Want to see more? 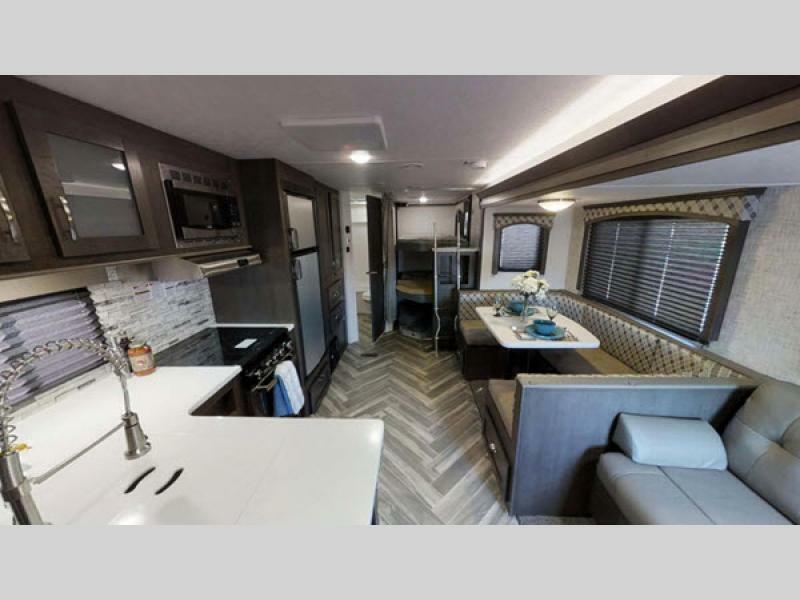 Check out our Grand Design Imagine travel trailer floor plans and pick one that is perfect for your family. 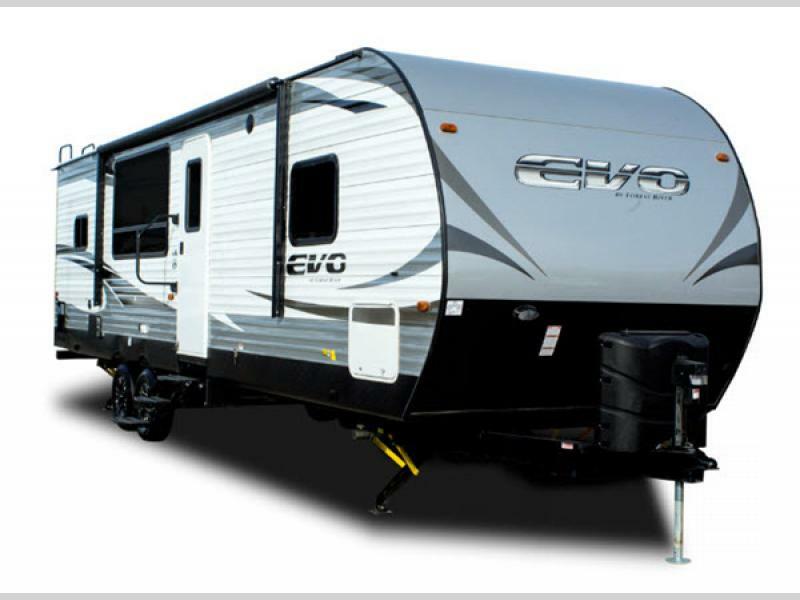 Or take a look at our Forest River EVO travel trailers for sale. 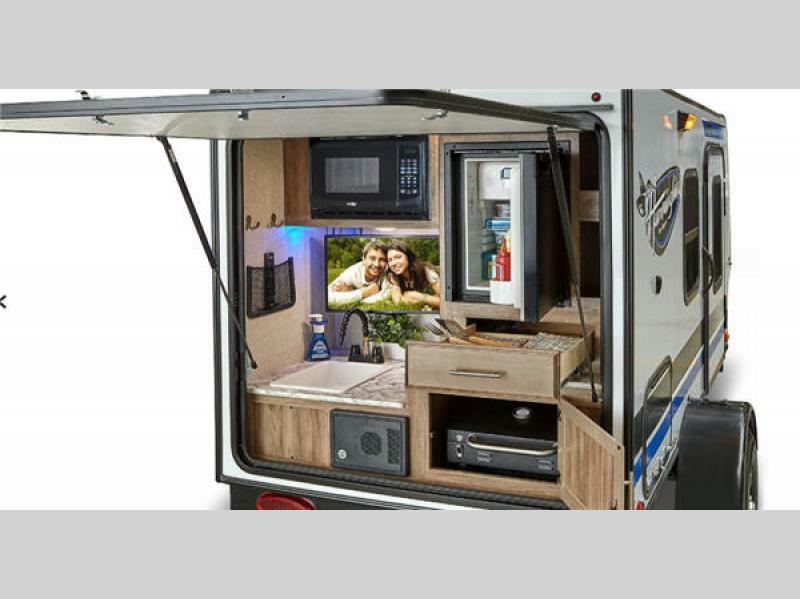 You’ll find this lightweight travel trailer stocked with tons of interior storage, full kitchens, and convertible furniture to accommodate extra family or friends. Meanwhile, the exterior is loaded with front pass-through storage with LED lighting, LED utility porch light, awning, and more. Have two people? Have ten? The Forest River EVO travel trailer has you covered. Check out our Forest River EVO floor plans. Our Jayco Hummingbird travel trailers for sale take a major nod from their namesake. 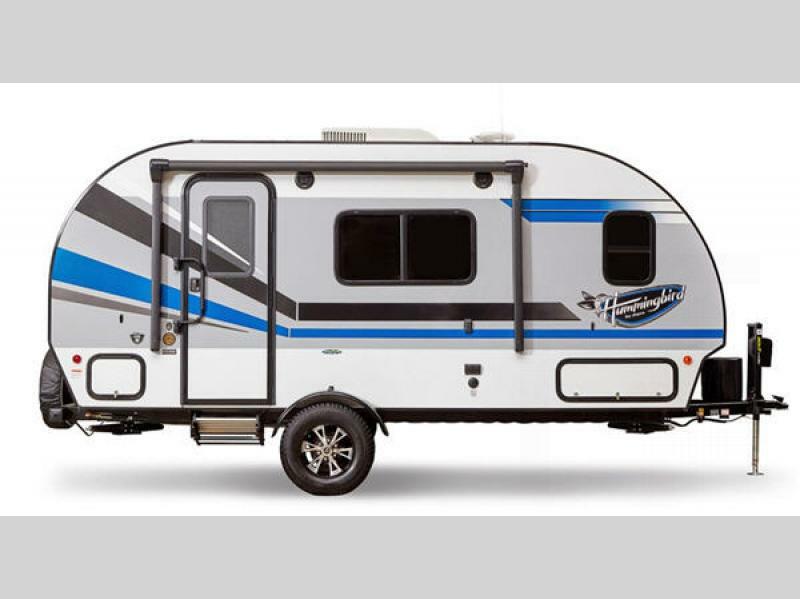 Ultra lightweight, compact, and fast as a flitter, these travel trailers are absolutely perfect for your weekend away. Some models feature outdoor kitchen and entertainment combination spaces, so you can make the most of your time outside. We have several Jayco Hummingbird travel trailers for sale in our inventory, and you can compare the different Hummingbird floor plans. Jayco, Forest River RV, and Grand Design are only three of the many outstanding lightweight travel trailer manufacturers we are proud to offer. We have dozens of ultra lightweight travel trailers for sale! Check out our entire inventory of new and used lightweight travel trailers and contact us today if you need some help picking out the perfect travel trailer for your family’s needs. We know you’ll love the ease in hauling a lighter RV and the money you can save on your gas mileage. Give us a call today!